This week, we'll ring in a new year by looking back at some of the most glittering moments of 2015. We're starting off with my ranking of the best of the Duchess of Cambridge's 2015 jewels. Be sure to provide your own top ten list in the comments below! At Princess Charlotte's christening in July, Kate debuted a new pair of earrings: the white gold and diamond earrings from the Empress collection by Mappin and Webb. The earrings are a part of a set; Kate first wore the matching pendant necklace during an August 2014 visit to the poppy installation at the Tower of London. The earrings retail at Mappin and Webb for £3,450. Time for the third installment of our series on Belgian royal brides! This week, we're discussing the December 1960 wedding of King Baudouin and Fabiola Mora y Aragon; if you missed them, here are links to our earlier posts on the weddings of Queen Astrid of Belgium and Queen Marie Jose of Italy. King Baudouin was the second child and first son of King Leopold III and Queen Astrid, who was born a Swedish princess. Baudouin's childhood was filled with upheaval. When he was four, his grandfather's unexpected death placed his parents on the throne. His mother died in a tragic car accident when he was five; his father made a controversial second marriage when he was eleven. In 1940, when his father capitulated to the Germans, Baudouin and his family were imprisoned and narrowly avoided a tragic fate. Just when you thought the Swedish royals had hung up their jewels for the season, we get another glittering appearance, this time at the Swedish Academy. No tiaras, but plenty of glitter to enjoy! Queen Silvia wore the family's pearl drop earrings; other than her rings, the rest of her jewels were hidden beneath her coat. Can you identify the jewels worn by these royal guests at the pre-wedding ball given for King Baudouin and Queen Fabiola of Belgium in December 1960? 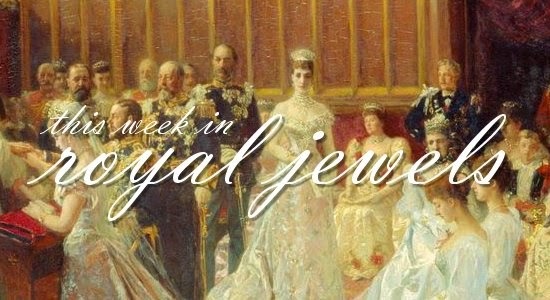 Earlier this month, we discussed the jewels and the grandeur of the royal weddings of King Leopold III and Queen Astrid of Belgium. In our second post of a series on Belgian royal brides, we're taking a look at the wedding of Leopold's sister, Marie José, with a future Italian king. Just like her Swedish sister-in-law, the marriage prospects of Princess Marie José of Belgium had been the subject of heavy speculation in the press. She was the daughter of a reigning monarch -- an increasingly rare thing in post-WWI Europe -- and, even more significantly, she was a Roman Catholic. As early as 1923, reporters were linking her with Crown Prince Umberto of Italy and forecasting an imminent engagement. Marie José had been educated in Italy, subscribed to the right religion, and was royal, three important factors that qualified her to be Italy's future queen consort. The press fairly salivated at the prospect. Once rulers of an entire empire, the House of Hohenzollern had a suitably grand selection of tiaras at their disposal at the beginning of the twentieth century. 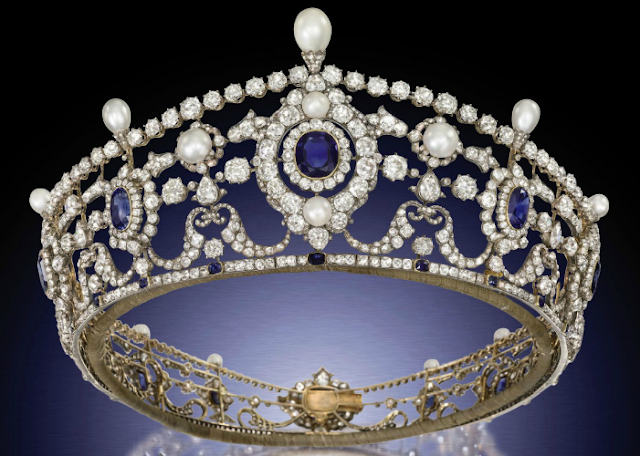 This tiara, the kokoshnik-style meander, supplemented the already impressive collection. It was created in 1905 by Koch, a German jewelry firm that created numerous pieces for the Prussian royal family. Crown Prince Wilhelm of Germany commissioned the tiara as a wedding gift for his bride, Duchess Cecilie of Mecklenburg-Schwerin (who was the sister of Queen Alexandrine of Denmark). In 1908, Cecilie was painted in the kokoshnik by Caspar Ritter. Cecilie certainly deserved to get an impressive tiara out of the deal. Her husband was a notorious philanderer -- there were even claims of an affair with Mata Hari, which was probably a bad idea all around if true. If you're a jewel lover, this is one of the greatest "holidays" of the year -- the day that the Nobel Prizes are distributed in Stockholm. The entire Swedish royal family gathers in their finest evening gowns, orders, and jewels for the occasion, and this year, a queen and four princesses were among the audience. Enjoy the glitter! 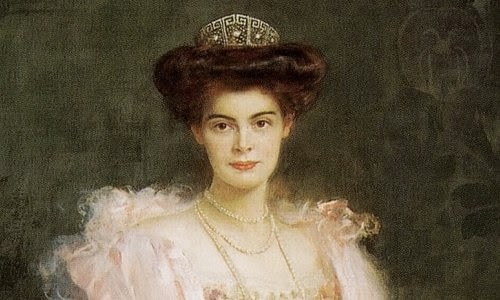 Those of you who read our post this week on Queen Silvia's Nobel tiaras know that she followed her Nobel tiara pattern. 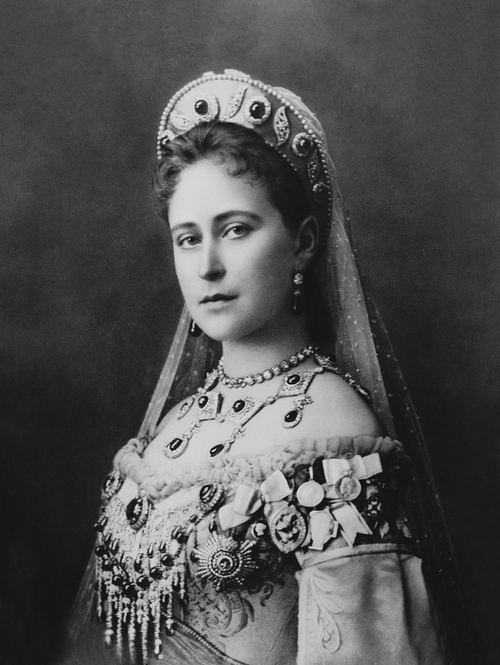 In recent years, Silvia has alternated between the Leuchtenberg Sapphire Parure Tiara and Queen Sofia's Tiara (also called the "Nine-Prong Tiara") for the ceremony. This year, it was the pronger's turn. Another day, another bejeweled surprise from the Duchess of Cambridge! Kate arrived at the annual Diplomatic Reception this evening wearing one of her late mother-in-law's signature jewels: Queen Mary's Lover's Knot Tiara. The tiara is a century old, making it one of the oldest royal jewels Kate has worn so far. 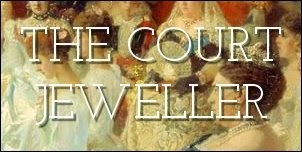 Queen Mary commissioned the tiara from Garrard, and she sacrificed a tiara from her own jewelry collection, the Ladies of England Tiara, to make it. She also borrowed the upright pearls that originally sat atop the Girls of Great Britain and Ireland Tiara and installed them at the top of this piece, but they were later removed. We've got sparkle from the European royals this time around, but the Brits definitely surged to the front of the pack with a glittering show in Malta. Be sure to vote for your favorites in the poll below! 10. Queen Mathilde of the Belgians and the Duchess of Gloucester both attended the Davis Cup finals this week; Mathilde donned large earrings made of red and gold discs, while Birgitte opted for gray pearls and a ribbon badge. Glittering royal jewels from Sweden and Britain are on display in this film clip from 1955, which shows King Gustaf VI Adolf and Queen Louise of Sweden visiting the Royal Naval College at Greenwich, accompanied by Louise's family, the Mountbattens. Which jewels can you spot? Rather than focusing on one jewelry-wearing royal lady this month, we'll be doing a series on several: some of the royal brides of the Belgian royal family. Our series begins with a royal woman whose tragic end helped cement her important legacy for the family: Queen Astrid. Astrid was born Princess Astrid of Sweden on November 17, 1905, in Stockholm. She was the third daughter of Prince Carl of Sweden (a son of King Oscar II and Queen Sofia of Sweden) and Princess Ingeborg of Denmark (a daughter of King Frederik VIII and Queen Lovisa of Denmark). As a member of both the Swedish and Danish royal families, Astrid's royal ties were extensive, and her name was often raised as a potential bride for various royal princes, including King Boris of Bulgaria and the Prince of Wales. 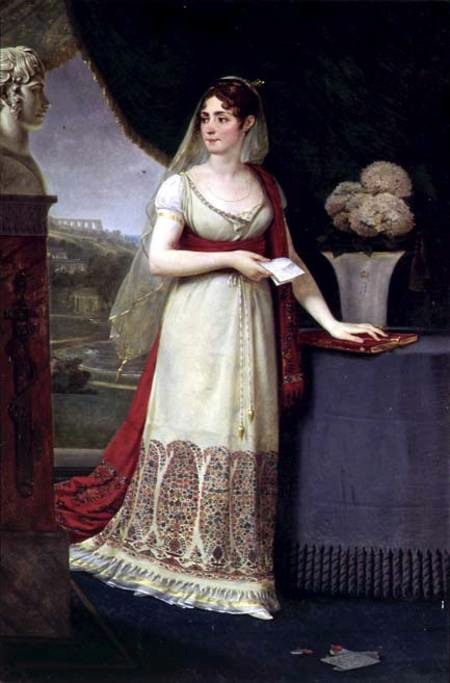 "Hints on Wearing of Jewels"
The Empress Joséphine  was noted as a well-dressed woman. 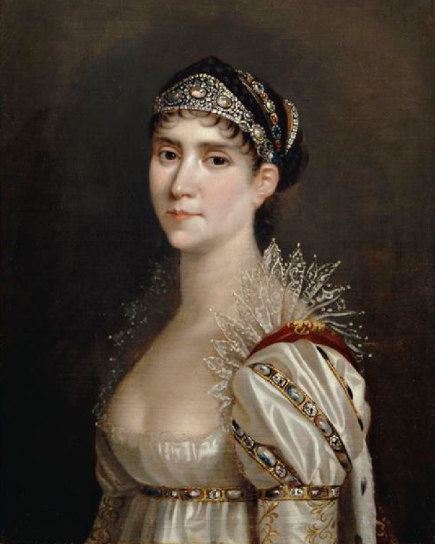 It is said that she had the same allowance that Napoleon's second wife, Marie Louise , later had, and that both of these royal ladies patronized the same dressmaker. But Joséphine always looked better dressed than Marie Louise. One of the secrets of Joséphine's dressing was simplicity. She always dressed in white muslin, and when a great state assembly of men and women in velvet and silk and gold and jewels was gathered together, Joséphine would enter the room, dressed in white muslin and wearing a single jewel. And a hush of admiration would fall on all the gaily clad courtiers present. It takes a lady with serious tiara hair to pull off one of the biggest sparklers in Britain: the Greville Tiara, which was a favorite of the late Queen Mother and is now worn by her granddaughter-in-law, the Duchess of Cornwall. As far as big royal tiara showcases go, few things are better than a royal wedding. Today, I'm presenting you with my top ten list of tiaras worn by royal brides. As you can imagine, this was a particular tough one to narrow down, so I've added a number of honorable mentions as well. Be sure to add your own top ten list in the comments below! This delicate, lovely diamond tiara was Princess Claire of Belgium's wedding gift from her parents-in-law, King Albert II and Queen Paola. Its petite size might underwhelm some, but it fit Claire to a tee. And, as a bonus, the design of the diamonds echoed the lace of her wedding dress in a particularly pleasing way. 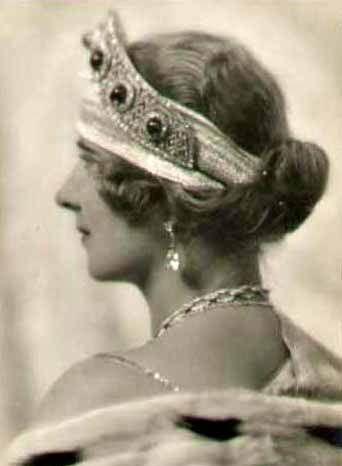 One of the sets of jewels worn in this picture, which is from the 1922 coronation of King Ferdinand and Queen Marie of Romania, will be very familiar if you've read the blog recently. On the left, Queen Maria of Yugoslavia (one of Ferdinand and Marie's daughters) wears the Russian emeralds she received from her husband as a wedding gift. 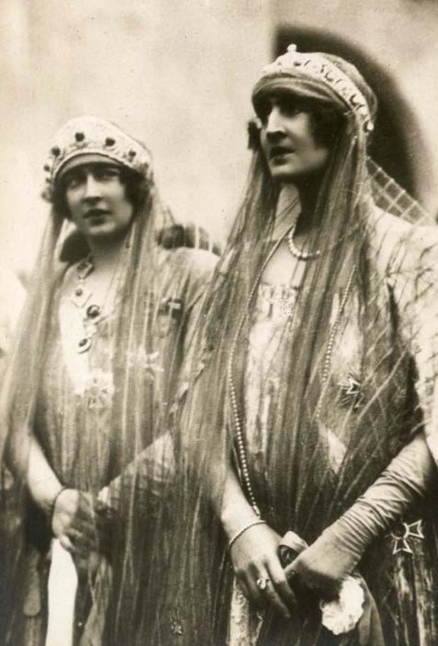 On the right, her sister, Queen Elisabeth of the Hellenes, is also decked in jewels. Can you identify any of the pieces she wears?